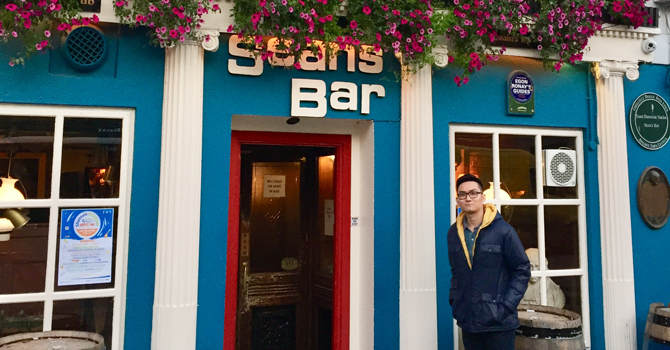 AIT Student and Vietnamese ambassador, Tan Long Nguyen gives us his top tips on settling into life in Athlone. If there were only two things that I could tell the world about Athlone, where I’m pursuing my Master’s degree in AIT, they would be: how small the town is and how hospitable the people are. The town only has a population of about 24,000 people, which is just four times the number of students attending AIT. The first day that I arrived at my accommodation, I found out that they did not provide blankets. I told my friend that we needed to buy them as soon as possible but I didn’t know where to start. We were very lucky that a lady we met in Lidl was kind enough to drive us to the store where we could buy blankets and then back to our accommodation. However, weeks later I still had to go around asking people about where I could purchase certain things, especially Asian food. Therefore, I decided to make this post for future students coming from Asia (and other countries) so they would not feel lost in Athlone, like I did when I arrived. For groceries, I usually go to Lidl, as it is closest to AIT (about a 10 minute walk). There are three other supermarkets in the town centre; Tesco, Dunnes Stores and Aldi. You can find almost all the things you need in here like vegetables, meat, fish, fruit, kitchen stuff and daily necessities. 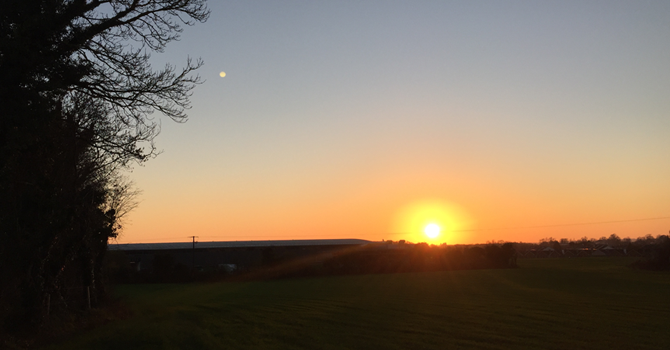 Here is a picture of a sunset that I took one beautiful afternoon on my way back from Lidl. How lucky all those who live here are as this is one of the most beautiful sunsets that I have ever seen in my life. For Asian food, I usually buy my rice in Heng Hui Foods. The good thing about this place is you can find most of the Asian bits that you crave, and which will help you to avoid homesickness. You can find noodles, frozen dumplings, Asian vegetables, sauces and spice. One tip is that Heng Hui does do delivery, so it helps a lot when I don’t want to carry a 10kg rice bag back home. 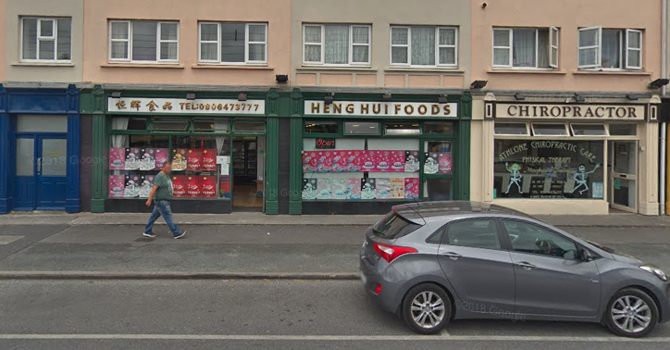 Another place I buy my Asian food is Asian Food Store, which is just opposite AIT. As they are so convenient, the price is a bit higher than others. Compared to all the shopping centres and malls that I have ever been to, Athlone Town Centre is quite small, but you can find some decent brands like TKMaxx, H&M and Zara here. 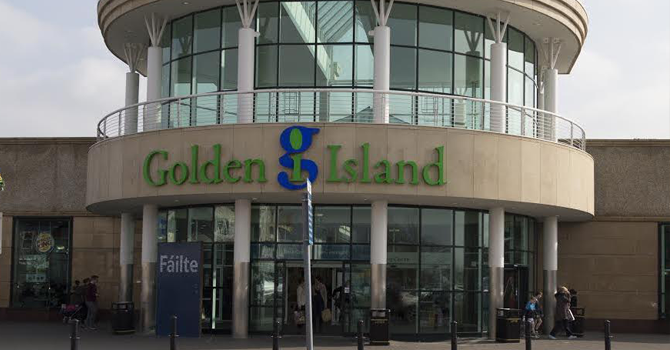 Golden Island Shopping Centre would also be one of your regular stops as Tesco is located here. Another store that you need to check out in Golden Island is Penneys. Everyone loves Penneys because it is so cheap, especially for students like us. They sell everything including shoes, clothes and accessories as well as bedroom and bathroom things. Dunnes Stores is another good option for people buying clothes and homeware. Euro Giant is a great place for cheap stuff and is where I get my kitchen cleaning products and confectionary. It is located opposite the bus stop at Golden Island. IMC Cinema Athlone is located in the Golden Island Shopping Centre and is my regular place for entertainment. Ticket are from €7.50 to €15 depending on the time and the movie. For people who love hanging out in bars, Sean’s Bar is my favourite — it is also the oldest pub. This is a great place to socialise with friends and make sure you try their Guinness which is better than a lot of other places in Dublin, and of course, cheaper. If you are into parties and night life, Charlie Brown’s and The Tack Room are close to AIT. In the town, Karma is the most famous nightclub for students and there are other local places as well. However, you need to get a cab home if you live near AIT. Or for something more peaceful, you can have a walk along the Shannon River where the scenery is absolutely beautiful. Athlone Caste is also a place that attracts a lot of tourists to Athlone. 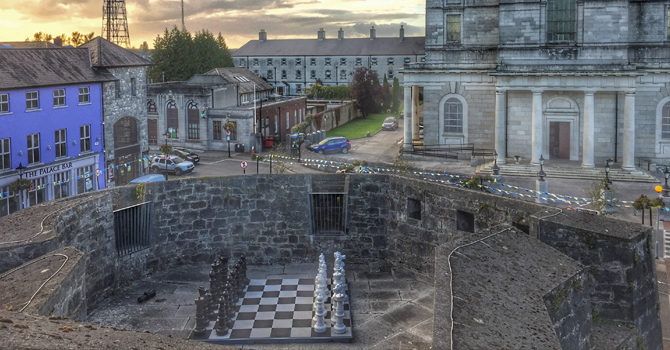 This picture was taken from the castle when I was there on Culture Night 2018. The Flagline bus route from AIT to Athlone Town centre takes about ten minutes, and costs €1, or you can walk for approximately 30 minutes. There is a bus stop at Willow Park, opposite AIT main gate. Train: This is the most expensive but the fastest and most comfortable. It takes about 1.5 hours to get to Heuston train station (Dublin). However, you need to find your way from AIT to Athlone train station and then from Heuston station to your destination (Dublin City Centre or Airport). Bus: You can either choose Bus Eireann or City Link. Prices are comparable. It takes about 2–2.5 hours to reach Dublin City Centre. Return tickets are cheaper than two one-way tickets, so try to plan ahead. You can catch both of these buses at the bus stop at Garrycastle Rd (next to AIT). To travel to the rest of Ireland: Take the train or bus or a combination. From my experience, you can get to other big cities like Galway, Limerick and Cork using the train or Bus Eireann. The bus station is next to the train station. I hope this guide helps, and if you have any questions about life as a student in Athlone, don’t hesitate to ask below! Rất may mắn khi em được đọc những chia sẻ của anh, với cái nhìn gần gũi, chân thực và đơn giản nhất về Ireland và cuộc sống sinh viên. Cảm ơn anh ạ.
Em rất muốn tìm hiểu về Ireland và học bổng IDEAS. Anh giúp em được chứ ạ? Em sẽ rất vui và mong được kể, tâm sự với anh về dự định của mình.